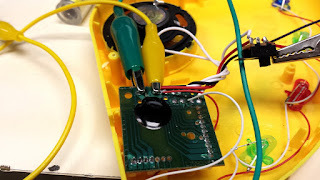 This post assumes that you have read Circuit Bending Basics 1. Circuit bending is about the non-thereoretical exploration of sound making circuits via shorting different points together. Take a toy (that is battery powered - important!) and let's get to work! Find the clock of a (battery operated) toy. Using a small screwdriver or pliers, pry the clock resistor off of the circuit board. 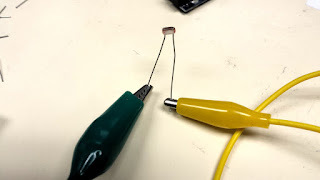 There will be two soldering pads - one for each leg of the original resistor. Attach an alligator clip to each of the two pads. 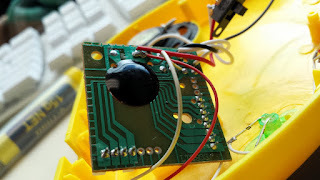 The original clock resistor - now removed - can be substituted with a variable resistor of some sort. 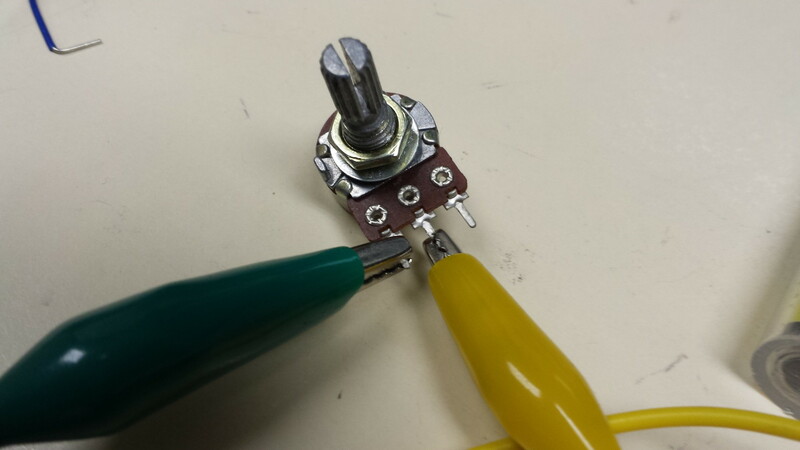 • The middle and outside leg of a type B, 1MΩ potentiometer.